A big warm welcome please to my first ever guest interviewer, Francine Silverman. Today she interviews mystery novelist and how-to author, publisher and consultant Patricia Fry who guest blogged for me back in December 2013. A list of interviewees (blogged and scheduled) can be found here. If you like what you read, please do go and investigate further. Patricia Fry is a full-time freelance writer and the author of 41 books, including 11 related to writing / publishing / book promotion. Her latest book for authors is Promote Your Book—Over 250 Proven, Low-Cost Tips and Techniques for the Enterprising Author. She is executive director of SPAWN (Small Publishers, Artists and Writers’ Network), and speaks on such topics as successful book promotion and how to promote your books though article writing. 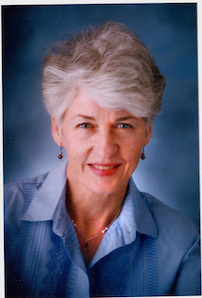 Patricia has more than 40 years’ experience marketing her own self-published and traditionally published books, consults with clients on issues of book promotion, edits manuscripts for authors, teaches an on-line course on book promotion, and writes a monthly newsletter that focuses on book promotion. Francine: What should we do before even putting pen to paper? Patricia: I always recommend that hopeful authors study the publishing industry before getting involved in this highly competitive business. Most new authors consider publishing an extension of their writing—something they can ease into once the writing is done. But while writing is a craft, publishing is a serious, complex business. Before ever entering into it, an author needs to know something about his or her publishing options, the possible ramifications of their choices and their responsibility as a published author. Nearly 78% of all authors fail—that is, they sell fewer than 100 books total. And the two main reasons are, they do not fully understand their publishing options and, either by choice or ignorance, they do not put enough effort into promoting their books. Patricia: You’re talking about building the authors’ platform. The key is to become known in your field or genre so that when your potential readers happen across your book, they will be more apt to purchase it. If they read your published articles and stories and enjoy them—if they consider you credible in your field or a good storyteller in a particular genre—they will be more interested in reading a book you wrote. You can create a following (build your platform) in a number of ways—go out and speak on your topic/genre, run workshops, create and maintain an active blog site, and (my favorite) submit articles or stories to the publications and websites read/visited by your potential audience. Do my articles published in The Book Promotion Newsletter get my audience’s attention? Most certainly. But writing for just one publication probably isn’t enough. You want your name to appear alongside good stories (for a novelist) and credible articles (for a nonfiction author) in numbers of magazines, websites, newsletters, e-newsletters, blogs and so forth. Successful book promotion is a full-time job. Francine: In your chapter about press releases you write that when seeing an article about you and one of your books, people often ask “How did the reporter find out about you?’ Your answer is “I contacted them and asked for an interview.” Can you give an example from your own experience how this worked? 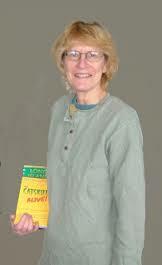 Patricia: Many authors assume that all they have to do is write the book and people will find it. Some also believe that if the book is good, reporters, interviewers, radio personalities, etc., will come to them. The reality is, however, that, unless you put yourself out there in front of your potential audience numbers of times and unless you start contacting journalists and interviewers, you probably won’t receive any such invitations for interviews, reviews, etc. At least in the beginning of your author’s journey you will need to make the contacts. YOU must spread the word about your book. YOU must approach conference organizers and ask for a speaking platform. YOU will have to contact reporters and blog hosts to request publicity. It is up to the author YOU to get publicity for your book. Francine: In the chapter heading, Position Yourself As An Expert,” you write that because you’re the author of the most comprehensive local history book about your community you are known locally as an historian and are frequently asked to comment on an aspect of valley history. You have also been quoted numerous times about writing, publishing and book promotion, which have come about from your many published articles, active blog and your book. This sounds reasonable for non-fiction authors. But what if you’re a novelist who has written a love story? Does that make the author an expert on love? Or a murder mystery? Are you then an expert on murder? Patricia: Funny! I wouldn’t say that, but if your story is well-received by your particular audience, you are certainly gaining a name as a darn good writer in that genre. I’ve recently started writing fiction. 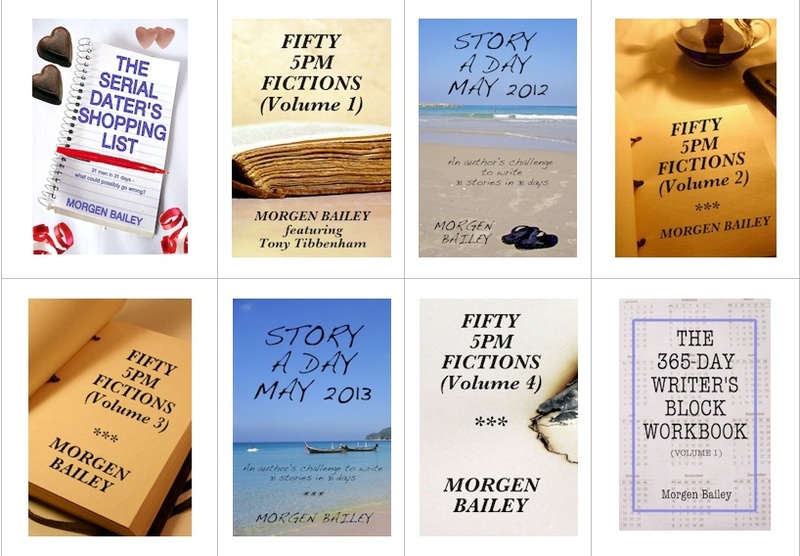 I’m writing in the cozy mystery genre (or sub-genre). And my stories all involve cats. I know a lot about cats and have had a lot of experiences with them. But I’m not an expert on cats. However, I’m striving to become known within the realm of mysteries and cats. 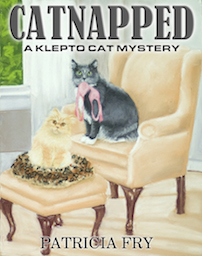 Along with the three Klepto Cat Mysteries I’ve published so far, I’ve written a book of cat stories and I have a blog featuring cats and fiction-writing. This is in addition to my publishing blog. 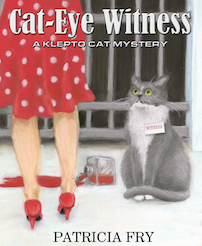 I’m also on Facebook with fun things about cats and mysteries. Francine: You have an “active blog” and talk about using your blog to promote your book, but how do you promote your blog? You encourage pings. What are they? Patricia: I’m coming up on my 2,000th post at my publishing blog. I post every day most days. And I promote my blog through my handouts, bookmarks, brochures, in my new enewsletter (Publishing / Marketing News and Views), in the promo tag at the bottom of my articles and at Twitter and Facebook. And I talk about it when I go out and speak. While it is important to promote your blog, it is also critical to offer viable content. It isn’t enough to have a blog. In order to attract the audience you want, you must provide the information or entertainment that will draw them and, as Fran indicates in this question, promote that blog so your readers know about it. Patricia was interviewed by Francine Silverman, editor of Book Promotion Newsletter, an on-line publicist, compiler of 16 ebooks of talk radio shows and host of a weekly radio show, Fraternizing with Fran – where interesting people come to chat. http://www.talkradioadvocate.com and http://talkradioadvocate.blogpot.com. Francine will return when she interviews writer and publicist Carolyn Howard-Johnson. That was great, thank you, ladies. This interview is my 2,607th post on this blog since March 2011 so hats off to you, Patricia. I know what hard work it is. If you’d like to take part in anything on this blog, see Opportunities on this blog. Thank you, Patricia and Francine, for sharing that essential intel! Btw, the monthly newsletter link in the interview is flawed (missing letter–a), but it does give you the way to get there.